Give yourself the “gift of time” and explore new interests through travel! Congratulations! You have decided to take some time off work and a good part of that time will be spent traveling. It is almost universal that when people do take a break, they travel to reconnect with friends and family, explore some new area or interest or spend time in another country to learn new skills or languages. Here are the ten tips that will help you enjoy your sabbatical travel and get the most out of it. 1. It’s All in the Planning: While we are great advocates of “being in the moment,” when you travel it is best to at least have some pre-planning and structure to get the most fun and adventure out of it. Determine ahead of time how much time you want to spend traveling, whether you will travel with a group or someone or alone, where you would like to go and how much you have to spend. 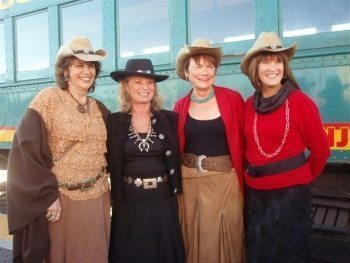 Schedule in time for impromptu events and extensions of time in certain places you love. 2. Research Ways to Save Money: Research times for best air travel prices….days of the week and months of the year. Airlines are cheapest way in advance or at the last minute and Tuesdays and Wednesdays are the best times to find price changes online. Timing is everything. Group tours and cruises may offer reductions, especially if you look online at the last minute. Explore transportation savings with Eurail Passes and in country ticket shops. Find discounts on hotels at sites like Expedia.com or in the magazine Budget Travel. Use frequent fliers wherever possible and call hotels and negotiate. 3. Swap Houses or Apartments: One of the best ways to enjoy a new area is to live there for a few weeks or a month or more. There are many home and apartment exchange sites like www.homeexchange.com that can help you exchange time in your place for one in another city or country. Live like the locals and cook at home, get to know the neighborhood bar and practice your language skills. 4. Earn Money While You Travel: There are several ways to make money while you are traveling…….teach English as a Second Language….give lectures or teach other skills at a university or adult education center……be a travel companion….write a blog about your travel and get it supported…..do part time research for a company. Don’t work all of the time, but the experience will allow you to see parts of a country you would not see as just a tourist. 5. Focus on Learning: Treat your travel like a life course. Read everything you can in fiction, history and travel focus about the country or place you are visiting. Go to websites in the country and explore what you find there. Take courses at a local university or learning center. Talk to people who have been there before you go. Find a professor or study abroad group in the country you can tag along with. Ask your college what contacts they have in the country before you go. Buy the services of a guide to get a quick overview of the important things to know politically, economically, culturally and physically about the country. 6. Make It a Challenge to Do Things That are Free or Low Cost: Find ways to explore everything in the city or country that are free or low cost….lectures, concerts in churches, walking through the city, attending a service, riding the subway, taking buses, visiting friends of friends, walking closely behind a tour in a museum…..you get the picture. travel does not have to be expensive and you learn far more by being “like the locals”. 7. Eat Well and Inexpensively: One of the greatest treats in visiting other countries is to try new foods. There are ways to do this inexpensively. Stay in B & B's so that breakfast is included and don’t miss it! Or buy fruit or yoghurt from a store and eat that. Don’t spend big for this meal. Try having lunches at the best restaurants or ones you want to try because of their reputation. You get the atmosphere and food, but usually at half the cost of dinner. Most restaurants have a set lunch price as well. At night, either cook at home after buying at local markets and plan to use only recipes of food of that country…you learn as you save! Or try the local restaurant in less expensive neighborhoods. Avoid the tourist restaurants, which often over change. Take picnics when you are driving from place to place and enjoy the local surroundings. 8. Have Your Friends Meet You Over the Period of Your Travel: This works really well if you rent or trade your house and are in one place for a length of time. Have different friends or family come for a week each. you can share the costs, explore the area through their eyes and interests and enjoy reconnecting as you travel. Or a small group of your friends can meet up at various places along the way. 9. Fund Your Freedom Ahead of Time: Give thought to setting up a Sabbatical Account that your family and friends can contribute to instead of those shirts and sweaters at birthdays. Put any windfall money such as tax refunds into the account. Sell some of the assets you don’t need, such as a car, and put that money into the fund. Keep the fund ongoing so that not only are you funding this trip, but saving for the next! 10. Let Yourself Be “In the Moment” Once You Start Traveling: Once you have some of the planning and structure in place, such as beginning and ending airline tickets, a travel pass, a few hotel reservations for when you arrive and leave a city or the house rented, leave much of the rest to inspiration and exploration. Don’t have the schedule so tight you don’t have the ability to make impromptu decisions or take advantage of doing something you had not thought of. If you really want a cooking course in Italy, then reserve it ahead of time, but leave downtime around it. who knows, maybe you will be invited to be a sous chef at the hot new restaurant! The point of a sabbatical is to give yourself the time to renew, refresh and re-energize your life and career. Travel is an extremely important part of that. You do need a little planning to make the most of it and these Tips are part of that process. Bon voyage! 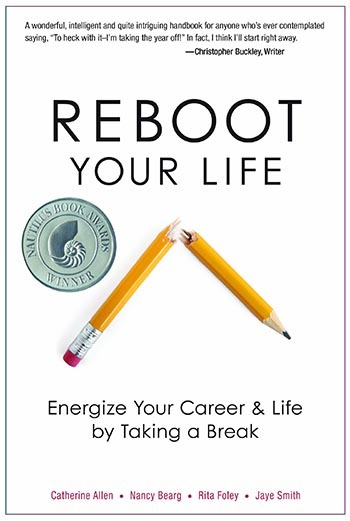 Catherine Allen is co-author, along with Nancy Bearg, Rita Foley and Jaye Smith, of Reboot Your Life: Energize Your Career and Life By Taking a Break. Beaufort Books. 2011., and a passionate traveler. She is Chairman and CEO of The Santa Fe Group, a strategic consulting firm, and has taken three sabbaticals and traveled to over 50 countries, most recently Cuba!